Written by Maren Lesche on February 12, 2018 . Posted in Events, Weblog. For the first time, FTR4H is curating a conference at SXSW. In 2018 we have 23 amazing speakers from 10 countries providing up to 300 minutes of healthcare innovation on stage at the Discovery Stage, Exhibit Hall 2. Get a sneak-preview of our program! Here some highlights! 10:30 am: Let’s get started! Learn more about our worldwide FTR4H Community. 01:30 pm: Travel with us! In our “Beyond the Pond” session you will get to know the eHealth communities in The Netherlands, Norway and Africa. 03:30 pm: It’s your time to shine! We will do an Open Mic Session! Prepare your elevator pitches! No slides! And best of all: up to 40 % of our speakers are female. Let’s celebrate diversity at SXSW! Check the complete program on the SXSW website and do not forget to get your SXSW ticket! Written by Tjasa Zajc on May 30, 2017 . Posted in MEDICA. 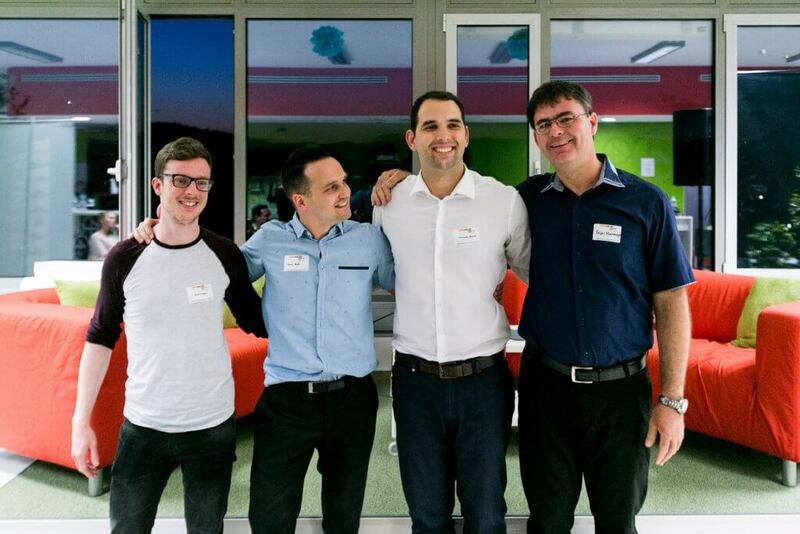 Nine startups were presented at the INFUSE Digital Health Networking Event, the first FTR4H partnership event, which took place in Ljubljana, Slovenia in May. The winning team – a Croatian startup Toothcam – will visit MEDICA Trade Fairin November 2017 in Düsseldorf as a guest startup at the FTR4H Lab&Lounge. Prior to the startup competition a panel on business models in digital health was held with the jury members. You can listen to it on Medicine Today on Digital Health Podcast on Soundcloud or iTunes. Is a digitalized dental mirror for better insight and easier work for dentists. The team observed dentists suffer from back pain due to constant bending during their work. Toothcam aims at solving a problem with a camera. This reduces the need for bending and allowing easier, faster, cheaper, and better dental service by improving dentists’ vision. GlutenTag is an app for people who do not tolerate gluten. It could pass between two hours to two days (depending on a person’s physiology) between an ingested meal with traces of gluten and the symptoms harming celiac patients. By labelling past meals / restaurants as safe / non-safe on the digestive tract of gluten intolerant person (or persons, through aggregation), the user can easily detect problematic food products. Anti-stress clinic is an app to support stress management, mental strength and mental health. Mediately is the name of a company working on an app. The doctor can check how to dose the drugs, there are any unwanted interactions with other drugs, and other aspects of care. In addition, he can use various diagnostic tools in the app to help him diagnose the condition, and then help him treat the patient. Top three teams selected by the jury – Blaž Triglav (Mediately), Ivan Guć & Tomislav Mamić (Toothcam), Željko Khermayer (Feelif). The Insulated Multimedia Space invention – The Awakening Room® – boosts the natural self-healing properties of the immune system with the help of a focused energy field. It solves the problem of vitality and courage in life for everyone, including the patients before and after major medical procedures. The system supervises the physical condition of a pilot and his entire flight. In case of a problematic interference affecting the pilots piloting capabilities, the pilot gets warned about the source of the problem. After the flight, the pilot can save all the data gathered in the cloud for later analysis. Tobiar is a massage device with a USB charging option, intended to primarily massage the wrist, the carpal tunnel area and by that prevent repetitive strain injury. It can also be used to massage other parts of the body, suffering due to repetitive strain injuries. IEmbryo is a kit to help prevent a miscarriage. It embeds the embryos of the embryo. In case of suspicious events, the mother can connect to the doctor through the platform to get advice or act before misfortunate event for the baby. A FTR4H opportunity for those in the Balkan region! Written by Tjasa Zajc on May 21, 2017 . Posted in MEDICA, Mobile. FTR4H is spreading its wings around the globe! After debuting at SXSW in March, we held a conference and a startup competition in India. We did quite a bit of research on the Indian market, so be sure to check all out blogposts about it! Our next official stop is in China in June, but just before that, we are supporting an event in Ljubljana, Slovenia. The INFUSE Digital Health Networking Event for startups and experts, is taking place on May 26th in Ljubljana. The event is organized by a medical journal Medicina danes and Technology Park Ljubljana – largest innovation ecosystem for commercialisation of knowledge and technology in SE Europe – in collaboration with the Slovenian Medtech community Healthday.si. It is sponsored by MARAND, Bayer, MDNA, EU and SPIRIT Slovenia. Q&A PANEL AND COMMENT: Where are we in eHealth compared to developing countries? What can we learn from them and each other? The Q&A will be moderated by Dorjan Marušič, Practicing Cardiologist, Former Member of the Expert Panel at European Commission DG for Health and Consumers (DG Sanco). 17.45 – CHIT CHAT with dr. Axel Polack: The hype around big data, genetic testing and gene modification technologies: progress or resurfacing of eugenics? 18.00 – KEYNOTE: Digital Health Trends: Forget the numbers, where is the impact? Details about the JURY MEMBERS of the Startup Competition at the INFUSE Digital Health Networking Event are available here. 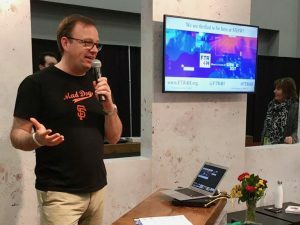 Startups in all stages are invited to pitch at INFUSE. It’s no secret around 80% of startups die after two years, due to lack of experience and funding. Accelerator programs get hundreds of applications and the majority of companies don’t even get a chance to present their solution in person. At INFUSE you can increase those odds. By getting feedback from the decision makers, you can gain visibility, make new valuable contacts and increase you chances to get funding. 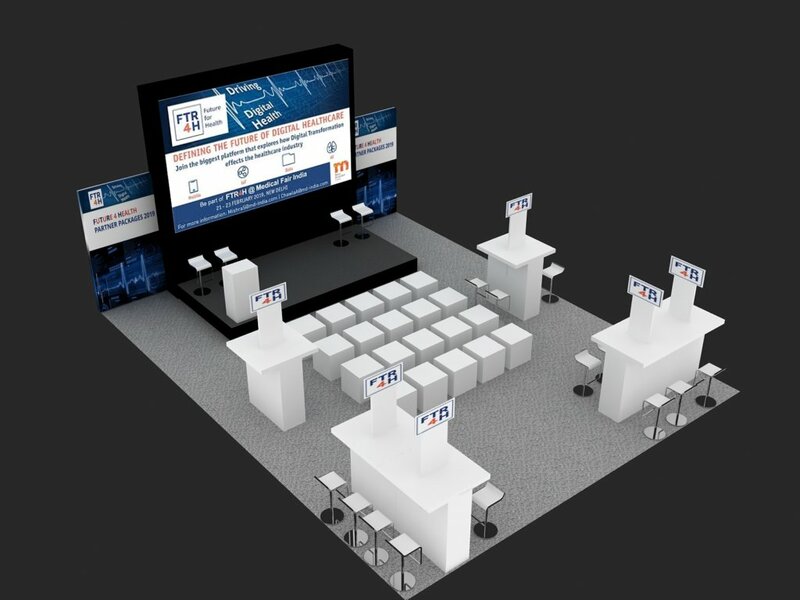 – one more developed will get a booth at MEDICA Trade Fair in Düsseldorf in November, at FTR4H Lab&Lounge in the US Pavilion! The commercial price of a spot in the Future for Health Lab & Lounge at MEDICA is 3.000 USD. 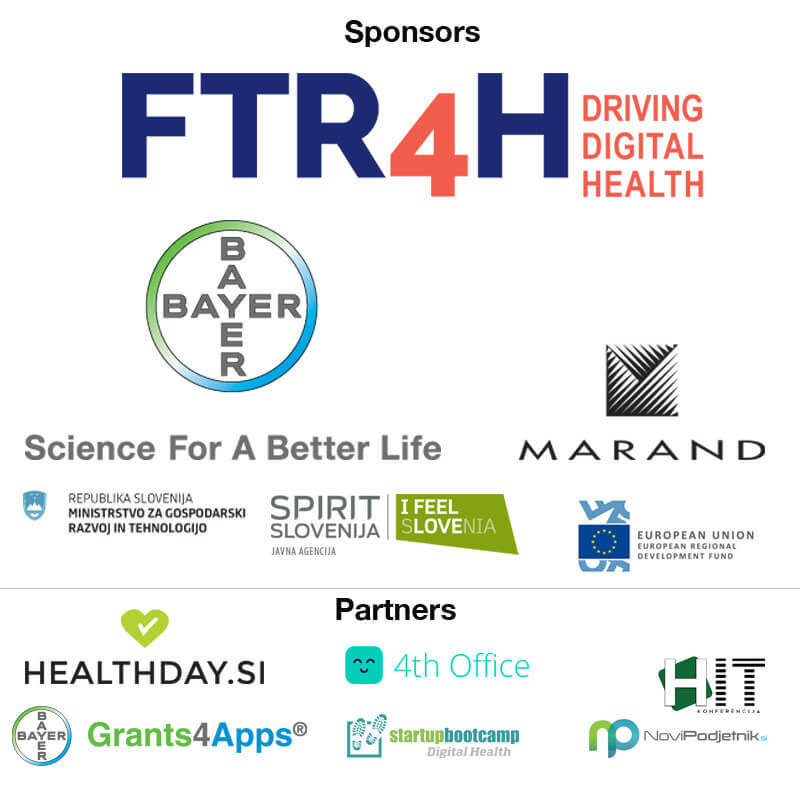 Future for Health (FTR4H) is a global Think Tank on Digital Health. 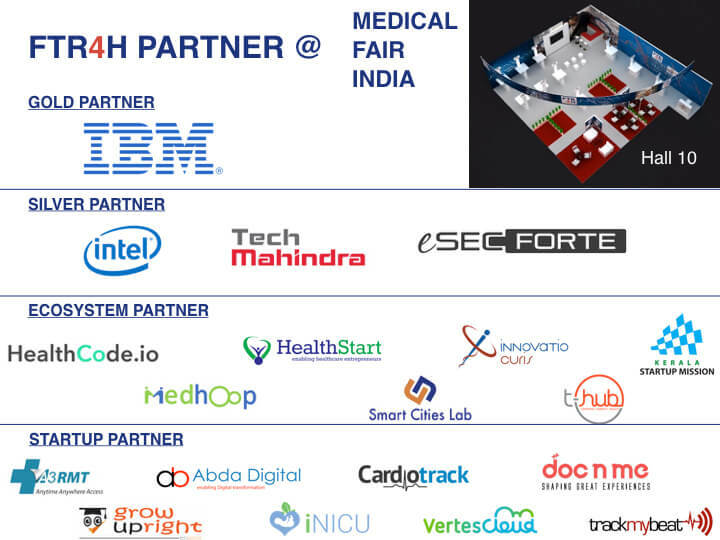 FTR4H Program for Digital Health Futurists at MEDICAL FAIR INDIA 2017 is out! If you’re a part of the Digital Health universe and based in India, there’s only one place you should be during 6-8 April. MEDICAL FAIR INDIA, taking place in New Delhi, invites you to explore the FTR4H Lab & Lounge at MEDICAL FAIR INDIA 2017, Pragati Maidan, New Delhi. The event is sponsored by: IBM, Intel and eSec Forte. Our ecosystem partners are: HealthStart, Medhoop, InnovatioCuris, T-hub, ib-hubs, Smart Cities Lab, InnovatioCuris, HealthCode.io. Join us at our Meet, greet and mingle event. Register HERE.